Adobe Photoshop has an array of magical tools, in my opinion though for the ease of use and the amazing results the Healing Brush and Patch Tools are the most impressive tools Adobe Photoshop has to offer. 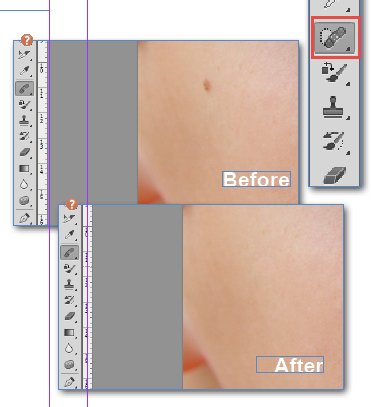 Using Adobe Photoshop’s Healing brush tool still amazes me how it does it, minor blemishes and imperfections just disappear before your eyes! 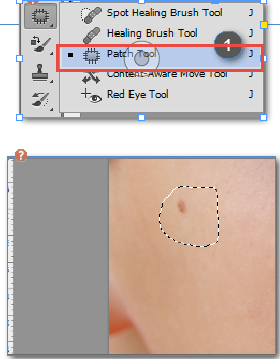 Its difficult to explain how these tools work in Adobe Photoshop but essentially they help to correct problems and imperfections in images by merging them in to the original image and sampling the texture around the area. That probably doesn’t make much sense but it doesn’t really matter as Im going to show you how these Adobe Photoshop tools work and you are going to be very impressed, Im sure you will be straight over to Facebook editing your holiday pictures making yourself look perfect in no time! 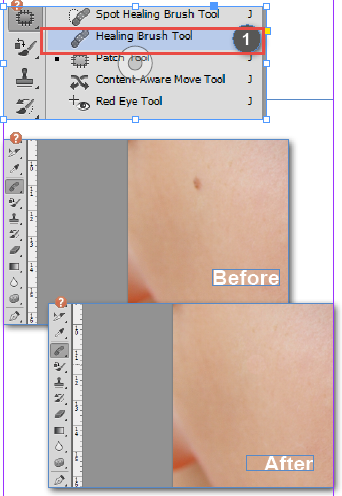 So you can see by using the above Adobe Photoshop tools you can really quickly and easily clean up any imperfections in you photos. Even as a complete Adobe Photoshop novice you can pick up these tools and have your Images looking pixel perfect in no time. If you wanted to take this one step further I would really recommend looking at the ‘Content Aware’ features in Adobe Photoshop, these enable you to remove and move much larger proportions of your Adobe Photoshop images, I wrote a full blog post on Adobe Photoshop Content Aware features you can find it here.